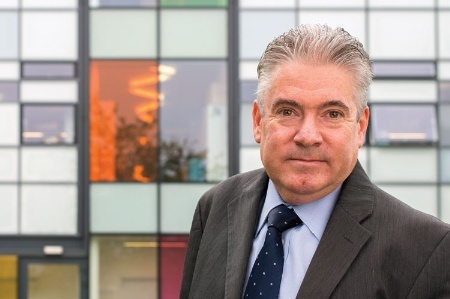 British Universities are at risk of becoming irrelevant and would be acting irresponsibly if they do not embrace new education technology, according to the vice-chancellor of the Open University. Martin Bean said this at his final public lecture in the UK as chief of the institution before leaving in the new year, to become president and vice-chancellor of the Royal Melbourne Institute of Technology. At the Sir John Cass’s Foundation Lecture, held at City University London’s Cass Business School earlier this month, Bean said that British Universities’ should reject conventional advice if it held back progress. “In the world of education…conventional wisdom has students sitting at desks, facing a teacher who stands at the front doing his or her level best to impart knowledge. It’s a model that has endured for literally thousands of years,” he told attendees. He compared universities to businesses which had “failed to meet the challenges of the digital age” and, as a result, faced difficulty, such as camera shop Jessops and book store Borders. “Perhaps the most difficult thing for those of us in higher education to get to grips with is the sheer pace of change,” he said, admitting that even his background working at Microsoft had not prepared him for so many of the top universities in the world to start giving lectures away for free in the form of Massive Open Online Courses (MOOCs). He predicted that British institutions risked being unable to compete with other universities around the world if they refused to embrace new technologies. “The Americans [and] those pesky Australians aren’t ‘waiting and seeing’,” Bean, who was born in Melbourne, said. Mr Bean oversaw the launch of the UK’s biggest Mooc platform, FutureLearn, and made the OU the first UK university to make its entire undergraduate curriculum available on mobile devices. Bean spoke of how MOOCs were an example of how some UK universities, including Strathclyde, were leading by example. He discussed how Strathclyde had taken its Introduction to Forensic Science MOOC, which is offered for free on FutureLearn, and re-delivered it, with credit, for campus-based students. Strathclyde’s journalism MOOC was equally successful, with over 11, 000 participants.